We are a leading Exporter of nigella seed and fennel powder from Mumbai, India. We are the Leading Manufacturer, Supplier & Exporter of Nigella Seeds. We entertain Foreign requirements . Nigella Seeds Consists of whole dried thin bowed at the end pointy seed of Carum Carvi. 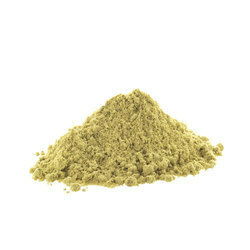 We are the Leading Manufacturer, Supplier & Exporter of Fennel Powder. Fennel, which grows well in mild climates, is an oval, green or yellowish brown dried aromatic ripe fruit of an herbaceous plant called Foeniculum Vulgare, a member of Parsley family. As a thumb rule, a bright green colour seed indicates a good quality. Obtained from an aromatic and medicinal plant, the seeds emit a pleasant odor, are highly aromatic and have a pungent flavor. Fennel is widely used in Asian, European, Italian and Mediterranean dishes.